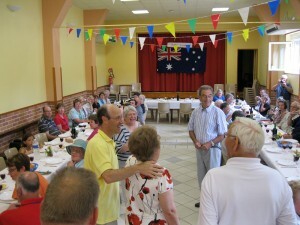 Claude Durand and his wife Colette welcoming the 2012 FFFAIF Tour Group to the Bullecourt luncheon. Claude observing Maurice Campbell presenting a Gilgandra tea-towel to Yves Fohlen. It was with great sadness that news has been received of the sudden death of Claude Durand, OAM, former Mayor of Hendicourt on Tuesday, 1 March 2016. It is thanks to Claude, his wife Colette and Jean Letaille that Anzacs who fought at Bullecourt have not been forgotten. Claude has welcomed many Australian visitors to the battlefield and was Vice President of the Association of the Museum of Jean and Denise Letaille formed to facilitate the upgrading of the Museum in Bullecourt. Claude’s contribution to the commemoration of the victims of war was enormous. In 1994 Claude was awarded a Medal of the Order of Australia for services to Australian / French relations. In addition to the battlefield memorials of “The Digger” and “The Little Cross”, the upgrade to the Museum provided improved facilities for battlefield visitors and the annual ANZAC Day services at Bullecourt has now become an important part of the ANZAC Trail on the Western Front. In addition, Claude and his wife Colette have made FFFAIF Tours participants feel very welcome and helped make their visit more memorable. On behalf of the Committee of Management and Members of Families and Friends of the First AIF, I express condolences to the family and friends of Claude Durand. 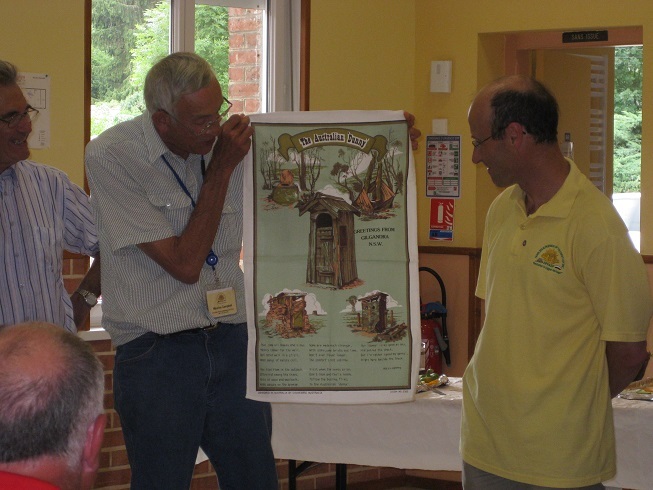 This entry was posted in Bullecourt, Uncategorized. Bookmark the permalink.